43147 passes Hinksey Yard on 14 March 1987 with the 1A48 13:14 Great Malvern to Paddington service. 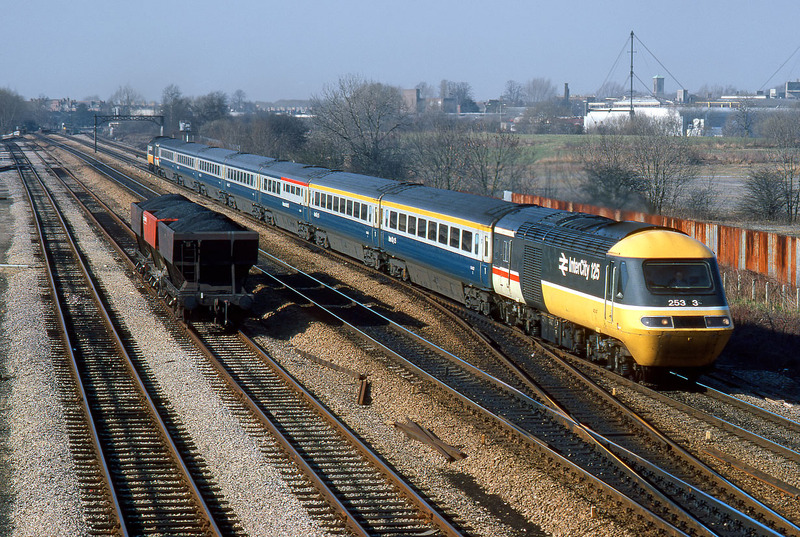 This train typifies the era, with a pair of power cars in the InterCity Executive livery, but with the coaches still in blue and grey. The Oxford skyline in the background is dominated on the right by the then still relatively new ice rink.